Created by the children and mothers of N'kosi's Haven with ASTEP/artsINSIDEOUT. 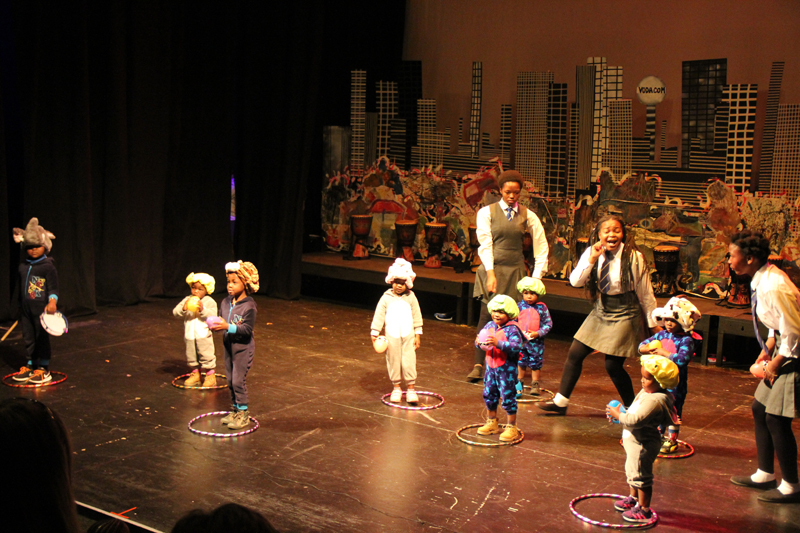 The entire N'kosi's Haven community took the stage at the historic Market Theatre Lab in South Africa to perform an hour-long devised piece centered around the theme of "noise." The 132 performers ranged in age from 2-62, and over the course of two weeks they created a show that spoke of noises inside their heads, noise we hear on a daily basis, religious and political noise, musical noise, and much more. This performance was the culmination of the seventh year that ASTEP/artsINSIDEOUT has partnered with N'kosi's Haven to bring performing and visual arts to this AIDS-affected community. Photos by Phumzile Zelda "Malik"